. Published on April 10, 2019. Remote work is officially the new normal. The number of workers who are choosing to work from home via remote work is on the rise. In 2018, a reported 3.9 million Americans worked remotely in some capacity, whether as a freelancer or for a traditional company. Unlike many of the rumors and misconceptions, remote work increases productivity and effectiveness. Working on your own terms has its perks, and it’s a great way to offer something new to employees while giving them more freedom. However, remote work wouldn’t be possible without the right digital tools. Here are 5 convenient tools for remote work to make the process easier for managers and employees alike. One of the biggest challenges of transitioning to remote work is learning how to best manage one’s time. When you’re used to a manager giving direction, it can be hard to know where to begin in daily tasks. When that stress is combined with impending deadlines, it only becomes more complicated. Using project management tools helps remote workers feel connected to their team. They can use it independently to keep track of their own projects, or with other collaborators to check in on overall progress. Two of the leading project management tools are Trello and Asana. While those project management tools above do have ways to leave messages for other teammates, they aren’t built around conversation. Using a tool like Slack will help remote workers feel connected to their team members even though they’re not physically in the same office. Slack is a great choice because it’s jam-packed with other fun features like gif integrations, chatbots, and more. Another challenge is keeping track of time worked. Everyone wants to get paid for the time they spent working, and that’s not always easy when you’re working away from a traditional office. With a tool like Clockspot, you can manage timesheets in real-time from anywhere. This is the best way to keep track of a remote team with easy to use automation. It even includes monitoring to keep workers honest and motivated. Security is a top priority of all organizations today. When working with remote workers, it’s even more essential to keep track of your passwords and worker access. A password management tool like LastPass works to cut down on weak passwords while also storing team passwords in a secure cloud. Once you login to one account, you’ll automatically have access to all other login information. It simplifies your day since you no longer need to spend time memorizing extensive passwords. More importantly, it generates stronger passwords to give you much-needed peace of mind. Finally, the phone is still a large part of communicating with remote workers. Remote workers often manage and handle a wide arrange of calls, from customer support to prospective clients. Making sure they’re able to answer those calls promptly without compromising their privacy is key. With MightyCall’s virtual phone system, you can do just that in as little as a few clicks. 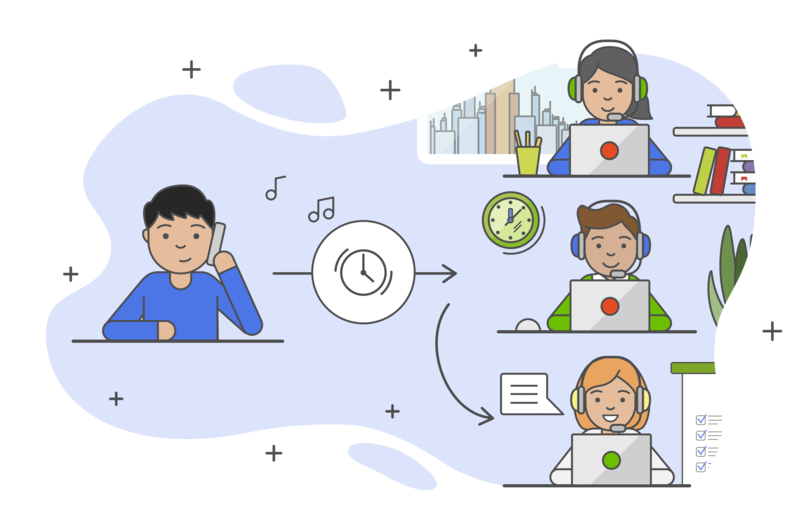 Now, employees will feel more secure without needing to worry about interruptions in call quality from wherever they choose to work. Remote work is more than just a trend. It’s a new reality of business today. Luckily, there are so many tools out there that make remote work a breeze. You’ll only wonder why you didn’t give it a try earlier. These tools above should be in any remote worker’s arsenal. Not only do they aid with feeling like part of a team, but they’re simply a smarter way to do business. From staying in touch with coworkers to never missing a deadline, these tools have you covered.